Speed of the web page rendering is a high-powered factor in user engagement and retention. With development of technologies users become more and more demanding, they want more quality, more speed, more entertainment. Let’s concentrate on the easiest goal to improve user experience - speed. First of all, it is important to conduct performance analysis and depending on its results search for the appropriate solutions. One of the possible options is PageSpeed module. Page load time is period of time starting from the moment user requests a new page to the moment the page is fully rendered by the browser. Page load time is one of the main characteristics of the website performance, especially from the client point of view. It is main focus of the PageSpeed, so to improve web performance PageSpeed automatically checks whether page corresponds to a number of different rules that represent best practices in web development. PageSpeed concentrates on the following practices. When client sends an HTTP request, it results in uploading additional data, e.g. all associated cookies set for domain. In order to minimize the client request time it is appropriate to reduce the request data size and serve static content from a cookieless domain. prioritizes and moves CSS blocks to the head area. removes comments and line breaks. converts and compresses images of various formats like JPG, PNG, WEBP, etc. adds image dimensions to tags and resizes images specified there. 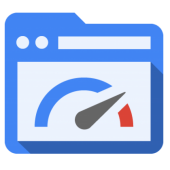 PageSpeed has a set of core filters for all of the optimizations mentioned above and safely avoids influence on the look and behaviour of the website. This module is frequently updated and already has over 40 additional configurable optimization filters to manage assets involved in page rendering. PageSpeed can be deployed by individual sites, big hosting providers, and CDNs. Using advanced techniques PageSpeed is one of the best tools to reduce the payload size, optimize caching, improve the speed of delivery and rendering of the pages. Quintagroup applied this module in several projects and significantly increased page load time.